Demography and Sentiment: What Insights can you Get? This may seem like Marketing 101 but you’d be surprised to know that consumer segmentation and its application to marketing are not widely understood. Consumer segmentation can be done in multiple ways, but primarily in two ways – demographic or psychographic. 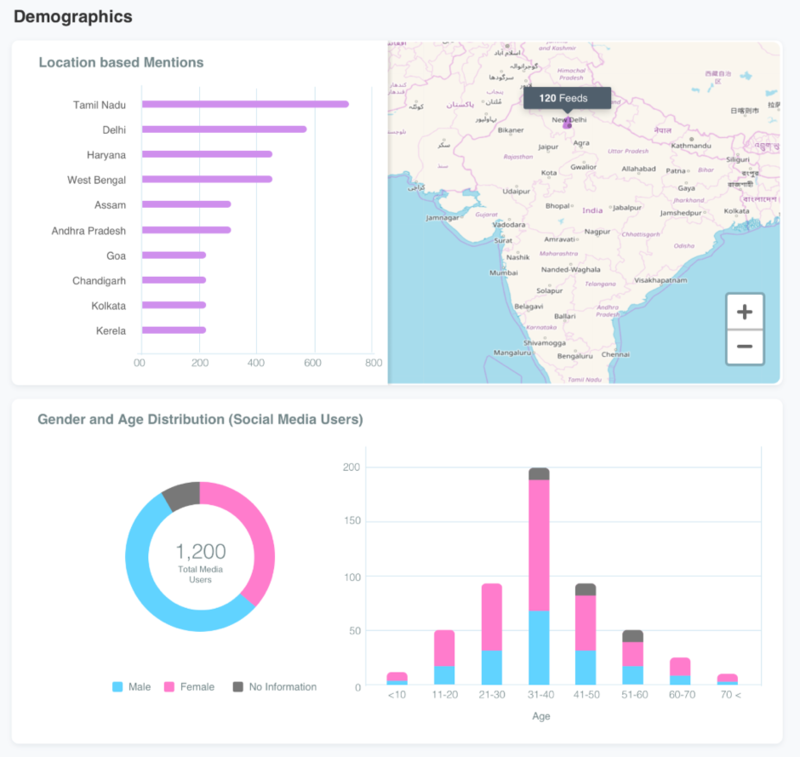 Auris helps you view your audience segments up close and understand how each of these segments engage with your brand. Such insights can be used to fine-tune your marketing strategy corresponding to each segment. Do your followers belong to your Target Audience? What would you do if the audience demography as captured by Auris shows a different demography (see charts below)? For instance, what if the demographic insights show a different demographic group being engaged by the brand? Our communication does not appeal to the target group important for the brand. The brand could potentially focus on a newer segment which already shows affinity towards it. Some radical ideas emerging out of such demographic insights could point to newer strategies. For example, the brand could consider creating a new line of apparel for males in the age group of 30-50. Or perhaps to open newer stores in cities where there is a relatively higher buzz and brand affinity already. A simpler idea would be to change your advertising strategy to target the audience you wanted to engage and publish content which appeals to your segment. What are your followers interested in? Imagine what you could do if you knew precisely what your audience wants. Auris offers psychographic insights of your followers. 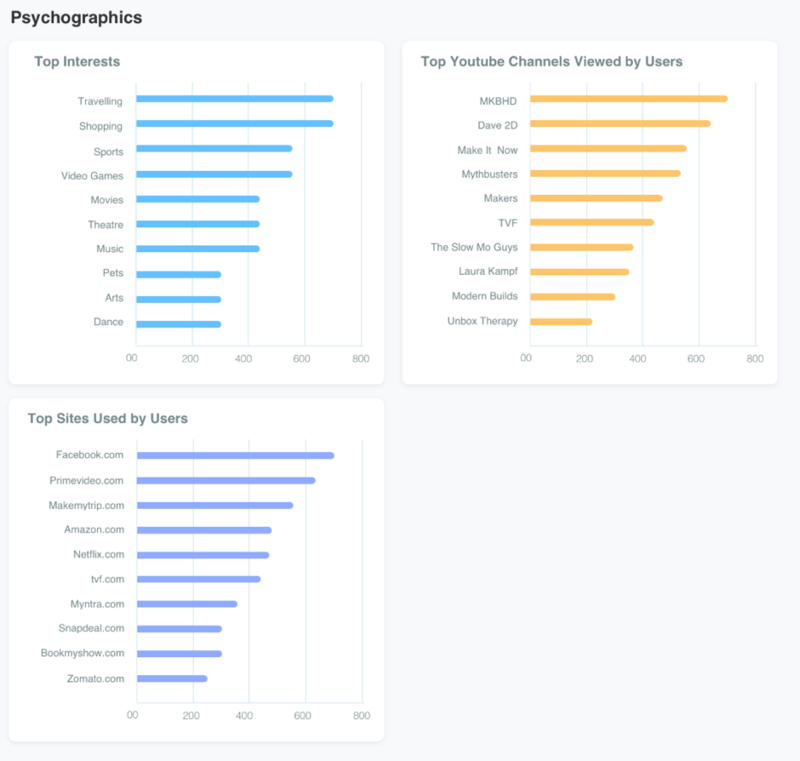 Let us assume that Auris shows the following psychographic data for a smartphone brand’s followers across the web. Going by these interests, you could consider creating content that correlates with what the audience wants. Your advertising could be directed to the channels which are most viewed by your audience. How do your followers feel about you? 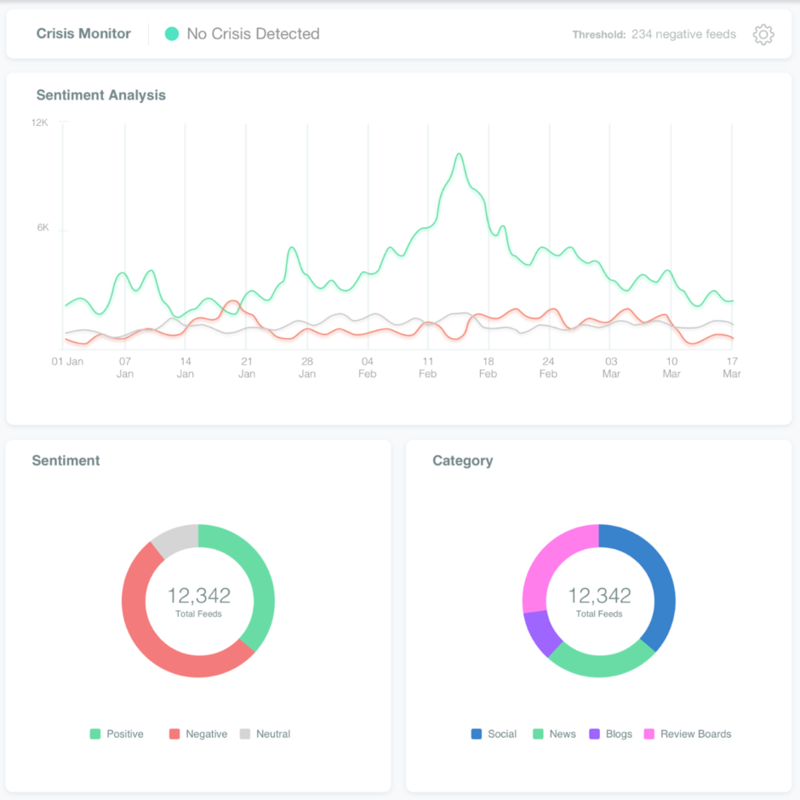 Sentiment Analysis offered by Auris helps you understand what your audience feels about your brand. This information helps you assess the health of your brand w.r.t. each of your consumer segments. If the consumers who are positively engaged with your brand correspond to the segment you wanted to appeal to, you are doing well. If your target audience overlaps with consumers who are not happy, perhaps it is important to make interventions to identify the root cause and remedy the cause of unhappiness. Auris can come in handy here. Understanding the channels and the sentiment of consumers on these channels also helps. You can create a platform specific strategy to improve your brand’s health, focusing especially on those channels where your brand sentiment took a beating. We’ve merely gotten warmed up here. There are a variety of actionable insights that you could derive by looking closer at the segments of your interest. Deep dive to explore insights by consumer segments!